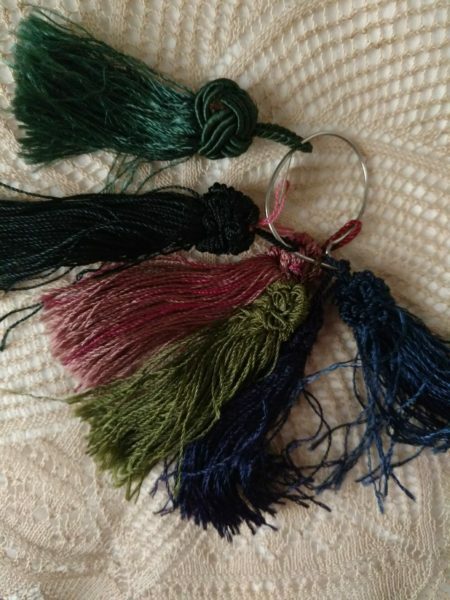 Six beautiful tassels from the Edwardian to 1920’s era. All old stock, still on the wire ring with hang tag. Origin is not indicated but more than likely France. Made of fine silk, or silk rayon thread, in assorted jewel-tone colors. Five of the tassels have matching woven heads. The colors of the five are light rose mixed with wine thread, medium blue, purple, black and olive.